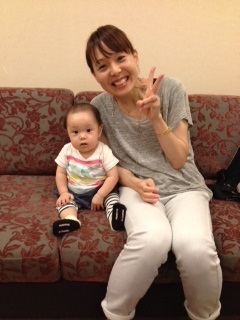 Ms K visited our office with her child. We supported her wedding ceremony at Kamigamo Shrine and the reception at “Kodaiji Doi” in October 2012. Her beautiful smile hasn’t changed a bit, but when she faced to her child I could see that she certainly became a mother now. We had a good time talking each other. She told me that she and her husband still talked about their wedding ceremony. We were very happy to know that they sometimes say “We’d love to do the wedding ceremony once again”. 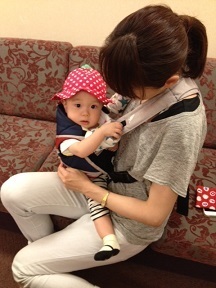 Thank you for your visit, Ms K.
We look forward to seeing you again in near future.